Mailing Services of Virginia strategically guides clients through the direct mail process, from data acquisition, design, through printing and distribution. We understand all details of USPS mailing guidelines and deliver the lowest postage rates available. We Are Direct Mail Experts. Include a direct mail expert at the beginning of your project to ensure the most efficient path through the MSV & USPS production facilities to avoid delivery and cost issues with USPS. In house, Agency level, creative and production design services for custom direct mail design. The key to every successful direct mail campaign, leverage MSV’s expertise in list acquisition. Lists are available based on demographics and geographics. Let your direct mail expert worry about the details for your mailing. Laser cut sheets, self-mailers, postcards, carrier envelopes, reply envelopes, buckslips, annual reports and newsletters are among the items we routinely provide for mailing projects. Digital printing – full color short run printing while merging your data. Perfect for low cost, low quantity targeted mailings. MSV is a full service IMB provider guaranteeing our customers the lowest postage rates and the smoothest travel through the USPS processing system for direct mail programs. Services include National Change of Address processing, merge-purge, de-duping of multiple lists and complex variable print designs for laser printing. 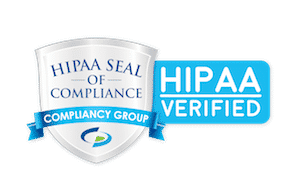 Feel confident that your data is secure, MSV is a HIPAA Verified facility. Inkjet labeling – From postcards to magazines on all paper stocks. Quantities starting from 100 up to 1,000,000. Add messages inline and in color. Inserting – Automated match inserting for all envelope sizes up to 9″ X 12″. Bindery – folding, collating, glue dots, tabbing, binding and cutting. Laser printing – High speed, high volume laser printing in full color or black ink. Save postage expense and speed delivery by dropping your highly concentrated direct mail to a specific, targeted area. Uniquely labeled cartons allow for ease of tracking and timely access. MSV secures your hard copy records in our climate controlled, HIPAA verified warehouse. Business or consumer e-commerce order fulfillment with balance sheet accounting and department level expense reporting. Leverage MSV’s order fulfillment and inventory integrations with BigCommerce, Shopify, and WooCommerce. Save postage on large quantity, nationally mailed direct mail campaigns. Download our MSV Direct Mail Best Practices document to ensure your mailing campaign is a success. International Mail – Leverage an extensive network of foreign postal administrations and the USPS consolidation program to match your delivery and cost specifications. International Shipping – Delivery confirmation for lightweight packages at discounted international rates. Let our Packaging team compile your individual products into ready-to-ship sets. Completed kits are stored with your inventory and mapped to a specific SKU distinct from those assigned to the individual products that may be shipped separately. Come visit our HIPAA compliant, full service IMB, climate controlled, 55,000 square foot facility. Mailing Services Of Virginia is part of the FSR Network – A family of companies offering marketing services from advertising, design, commercial printing & promotional products, to mailing & fulfillment. © 2017 Mailing Services of Virginia, Inc. | ALL RIGHTS RESERVED.